"Easy site navigation, chat help from Judy great." "nice customer service for my 10x10 tent. Answered all my questions promptly thru the online chat"
"Ordered online. Website is pretty user friendly :) Excited to get our hardware!" "Since this was my first time creating a Pop Up Trade Show Display, I had a ton of questions and customer support was so incredibly helpful. They were quick to answer my questions and made the process so easy for me. I can't wait to see what my design looks like!" "Always great service and good products for a decent price. I've ordered serveral times and I'll keep ordering from Vispronet. " "Very easy process online and shipped pretty quickly. Very happy with everything." Thanks for your comments, Kyle! We're glad to hear everything turned out well for you! We look forward to working with you on any future projects you might have. Thanks for choosing Vispronet! The colors came out really good. It was a great value for what we were looking for. "The entire purchasing process was very painless, from beginning to end. It was easy to find the product I wanted from the website. As someone who is unfamiliar with digital graphics & submitting usable artwork, I appreciated the aid of the sales rep, Kristen N., in getting my images submitted properly. The responses were quick & we had the entire ordering process handled in a few days. Also, the cost is very reasonable & the turn-around is much quicker than we anticipated. Can't wait to see our finished product!" "Website is easy to use and navigate. Great prices, responsive customer service! " "Always good product and on time." Thanks so much for your comments, Tina! We're glad to hear that we've delivered you good products in a timely manner - that's something we strive for here at Vispronet. We look forward to working with you on any future projects you might have. "The order was quick to place, quick to upload our design and quick on arrival. The back drop looked amazing and just what we needed!" "Quality product and fast shipping. Excellent product for the price." Good quality and fast shipping. More than I expected for the great price. "This is the second time we have ordered from you and the service has been excellent and you have responded back to us in 24 hrs. We appreciate your continued support and service to our company and have been very satisfied with the product. Thank you"
"Working with the team was a pleasure. Friendly and efficient. 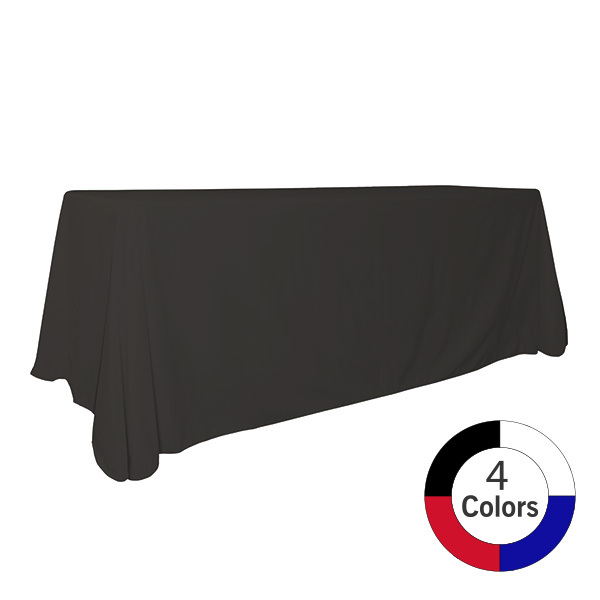 They came up with a great layout and design for my custom table cloth. " Thanks so much for your comments, Mel! We're glad to hear that everything turned out so well for you, and we look forward to working with you on any future projects you might have. "Great website, easy to find and purchase items." Thanks for your comments, Joyce! We're glad to hear you found the website so easy to use. We look forward to working with you on any future projects. Thanks so much for choosing Vispronet! "Easy ordering process. Excellent customer service!" Thanks so much for your comments, Lynsey! We're happy that you're happy. We strive to give our customers the best-quality customer service possible, and it's awesome that we were able to do that for you. We look forward to working with you on your next project! 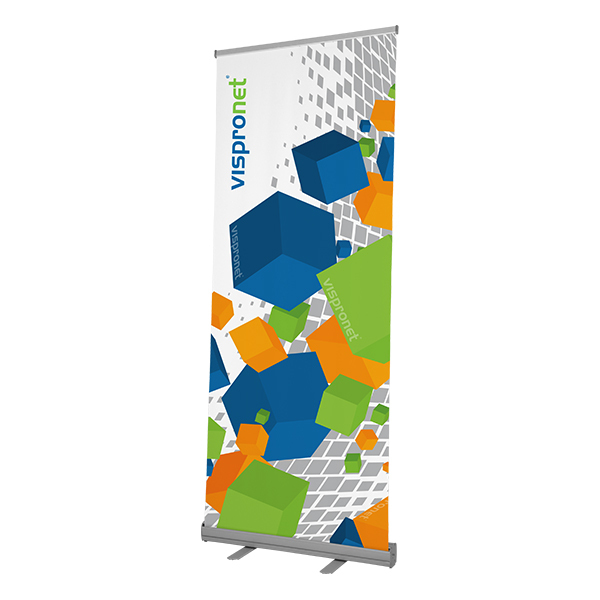 "Our company ordered banners for a trade show. After reaching out to several companies we decided to use VisproNet based off several factors including: timely response to initial inquiry and follow up emails, friendly and knowledgeable staff, competitive pricing, and production lead times." Thanks so much for your comments, Matt! We're glad to hear that you picked us over the competition! We pride ourselves on giving our customers great products and service backed up by a knowledgeable staff. Thanks so much for choosing us - we look forward to working with you on any future projects you might have! "The experience using Vispronet was excellent. Easy to use and their expertise ensured the result was exactly what I wanted. Would recommend for sure. " Thanks so much for your comments, Scott! We're glad to hear that you had an excellent experience with us. We strive to give our customers the best-quality products combined with the best customer service possible, and it definitely sounds like we were able to do that for you. We look forward to working with you on any future projects. Thanks so much for choosing Vispronet! Good value, case not very sturdy. Very happy with the pop up banner. The case is a bit weak and is tearing after one use. Overall, still consider it a good value. "I worked with Kristen and she did an awesome job. She was very helpful and accommodating, followed up with me on everything, and was very efficient. I appreciate all of her efforts. Please pass along my compliments. " Thanks so much for your comments, Glenn! We strive to give our customers the best-quality service possible when they order from us, and we're glad to hear Kristen was able to provide that for you. We'll be sure to pass your compliments along to her. Thanks so much for choosing Vispronet! "Excellent customer service and high quality product. We were pleased with our outdoor vinyl banners because the color was saturated and the vinyl is durable. Shopping online with Vispronet is seamless." Thanks so much for your comments, Christine! We're glad to hear everything came out so well - we strive to give our customers high-quality products and support them via excellent customer service. We thank you for shopping with us and look forward to working with you on any future orders. "Vispronet's patience and response during my creative inexperience was top notch. Thank you. " We're happy to help! We strive to give our customers the best possible service when they come to us to get their items printed, and it looks like we were able to do so for you. Thanks so much for choosing us! "Easy web page to navigate and make my purchase. I had a few questions about my order and contacting customer service was easy and helpful. I ordered the Roll-Up Deluxe 24" Banner and it came out beautiful! Great quality banner and colors came out crisp- and it came a day early! Will definitely use again for our next project." We're glad to hear that we were able to be helpful and make your ordering process easy, Jess! We strive to give our customers the best quality of service possible when they order from us here at Vispronet and that includes our website, so we're happy to hear that it was easy to navigate the site and make your purchase. 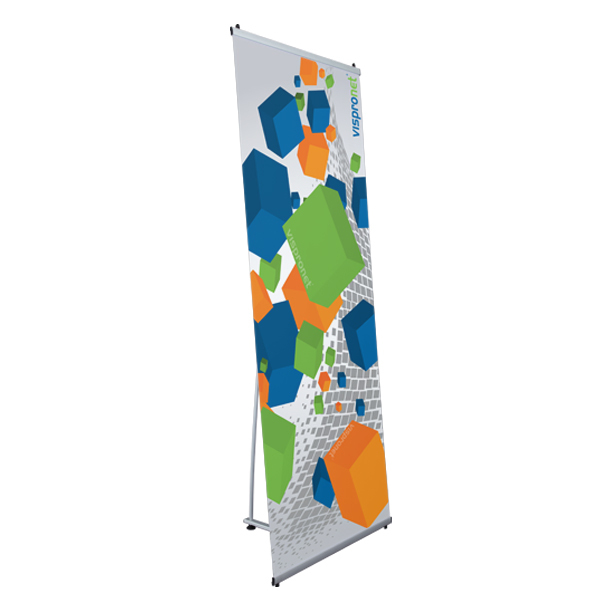 Thanks so much for choosing us to get your banner printed from - we'd love to see it action!